We’re going to cut to the chase here – we’re big fans of the wines Obsidian Vineyard has been producing over the last three or so years, and as a result, it’s now cemented firmly as a must-visit vineyard on our Waiheke Itineraries. Being that it’s in a location that looks on the map to be a little out of the way at first, it was a few years before we made the effort to visit Obsidian Vineyard. This was our loss, we soon realised after our first visit. With the usual vineyard suspects grouped in somewhat neat pockets, it’s easy to leave this vineyard off the list when you’ve got limited time on the island. We want to assure you it’s worth the trek – and getting there is not as bad as one thinks when you know more about the location. 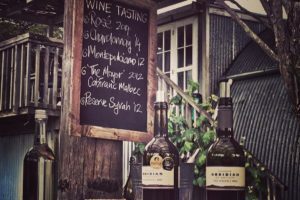 What to expect – in true Kiwi fashion, it’s an unassuming shed at the bottom of a picturesque hill of vines with rustic outdoor tables for tasting. 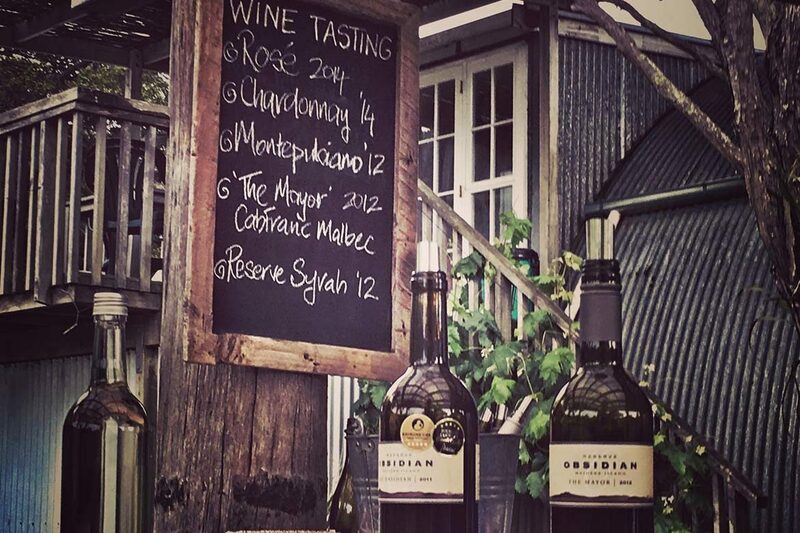 Tasting is solely outdoors so it’s best to check the weather forecast before planning your visit. That being said, we’ve still enjoyed cold, rainy and windy tastings here even in the wild outdoor setting. There’s no restaurant on site, but sometimes there’s cheese and crackers on offer (complimentary!) but these were absent on our most recent visit, we hope they haven’t done away with them altogether as it was a nice touch. If you’ve worked up an appetite with all that heavy duty glass-raising and are looking for food after your tasting, you can walk up the hill to Metro Top 50 restaurant Casita Miro, about a 10 minute stroll. Tasting is $5 a head, redeemable on wine purchase – doesn’t get much better than that. The wines here are good value when it comes to the Island, with most being $22-$35 and delivering great quality for the price. Over the years we’ve found many varietals to be strong here – Chardonnay, Rose, Montepulciano and Tempranillo in particular. The wines are so delicious that we still rue the day we purchased two lovely bottles and our wine carrier broke on the way home from the ferry in the drizzle…devastating. 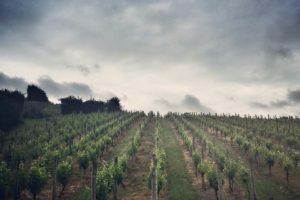 We’d love to hear your thoughts on their latest vintages if you visit, and we can’t wait to return – hands down one of the best producers on the island. 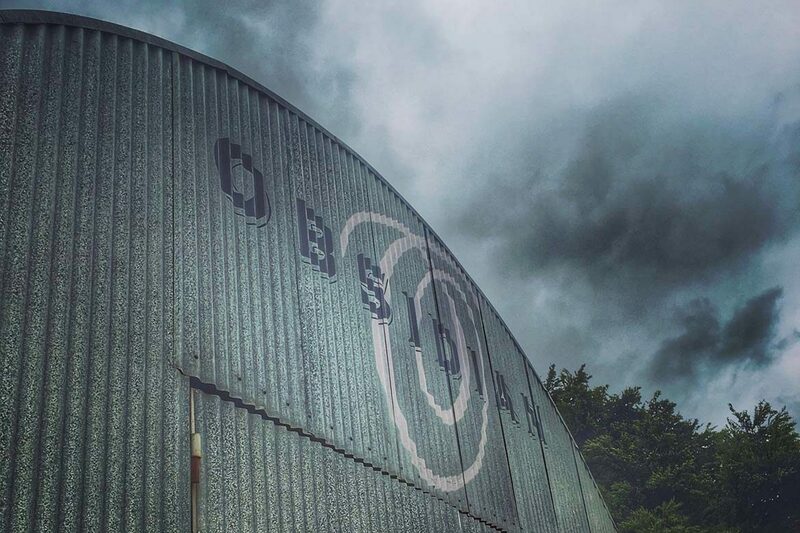 *Update: we headed back to Obsidian on our latest visit to Waiheke in November 2018, as we do, and were really sad to see the service has gone hugely downhill. Admittedly, we were arriving close to closing time (we called ahead, and only did a very quick tasting), but the rudeness from the staff really wasn’t warranted. We’ll still go back, just for the wines, but we’ll definitely be looking more closely at the service on our next visit. An official World's 50 Best Restaurants Tastemaker, global gastronome, mad oenophile and luxury travel aficionado hailing from New Zealand, currently residing in Dubai.